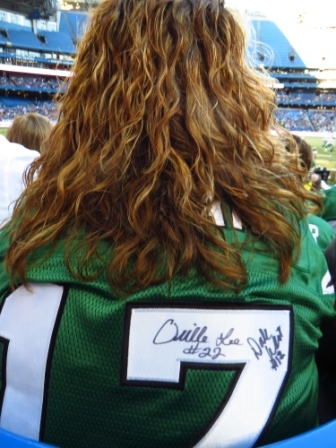 My pal, Shawna, lives in Regina and is a big Saskatchewan Roughriders fan. 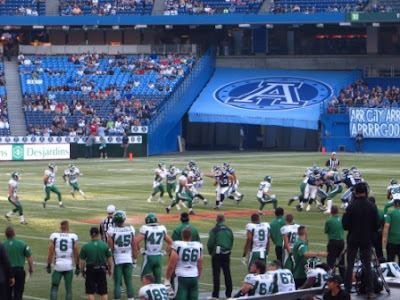 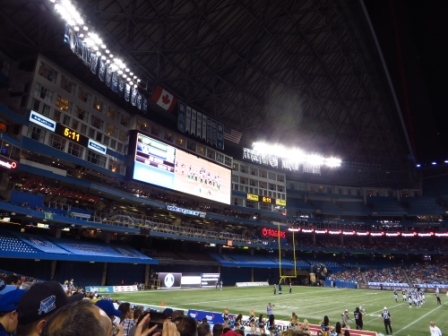 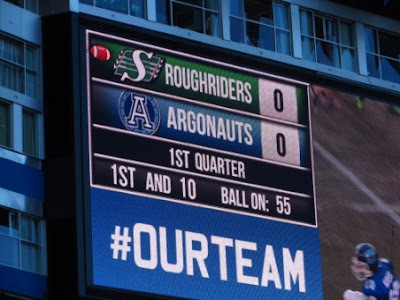 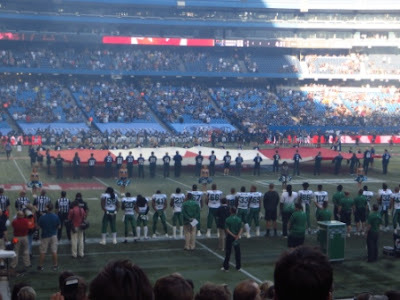 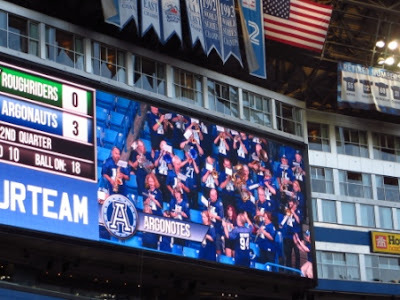 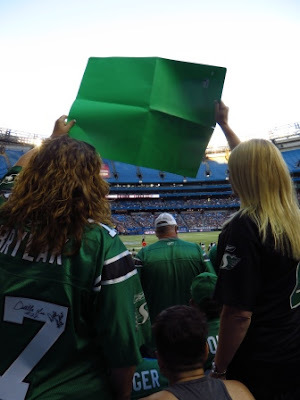 The Riders were playing the Toronto Argos here in Toronto tonight (it was there home opener) so it was a good excuse for she and her friend, Shelli (another Riders fan), to spend a long weekend here. Shawna asked who wanted to go and Gord and I said "yes". 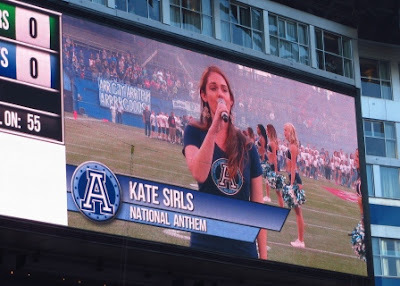 Kate Sirls sang the national anthem. 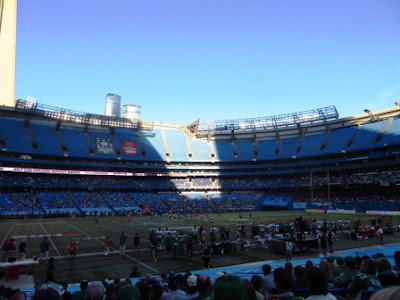 Our seats were great ... we were in the bottom level. Shawna bought the tickets for us (there were ten of us) and she has us sitting in the visitors' section (ie with mostly Rider fans). 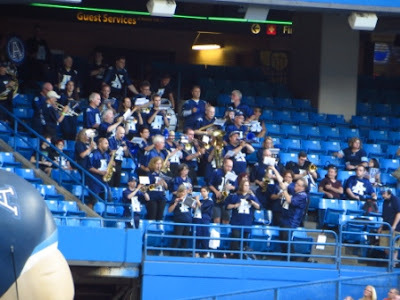 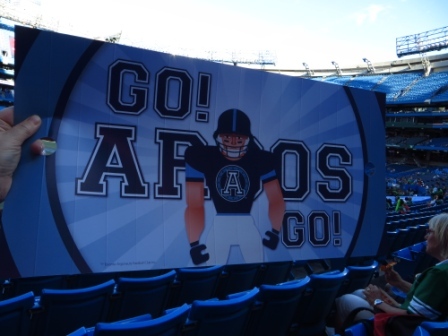 There were some Argo fans, though, on our side ... especially in one of the corners, who made themselves heard. 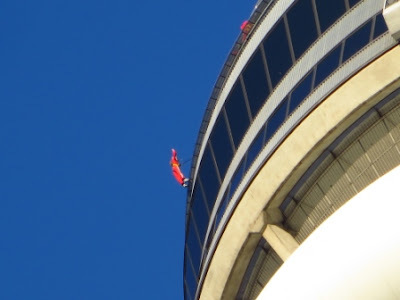 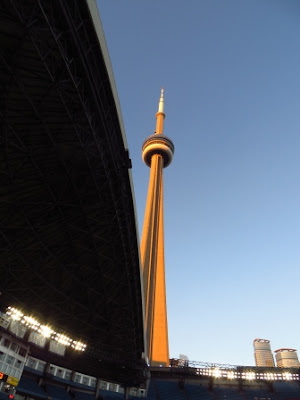 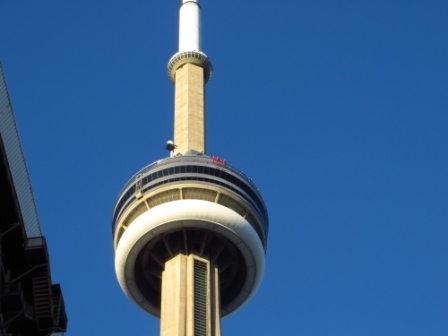 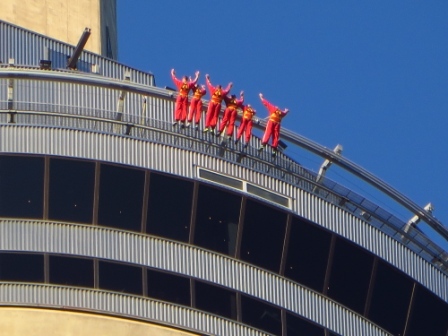 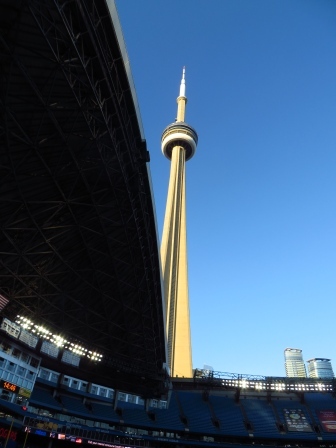 We had a great view of the CN Tower. 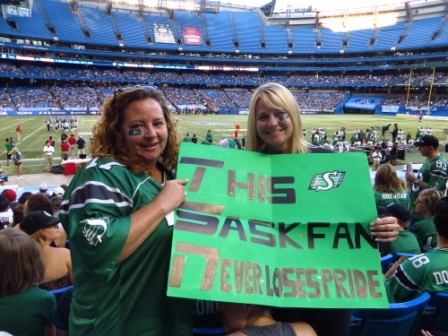 Shawna and Shelli came complete with jerseys, beads, pins and a sign! The CN Tower was pretty as the sun set. 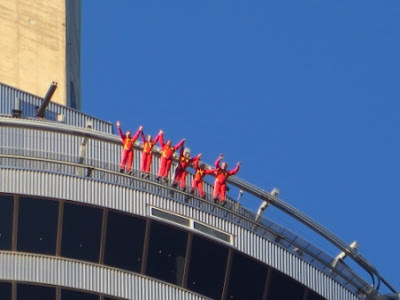 I took a walk over the the West Jet Flight Deck and sent Shawna a text to look over and wave! 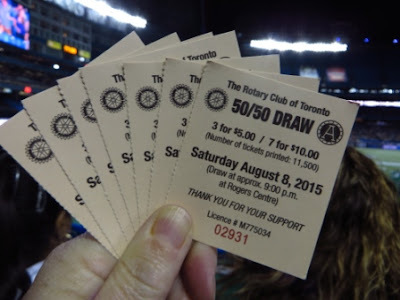 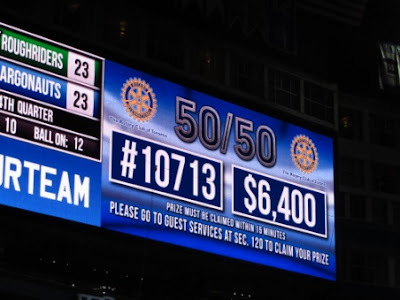 The 50/50 prize was $6,400. Alas, we weren't even close. 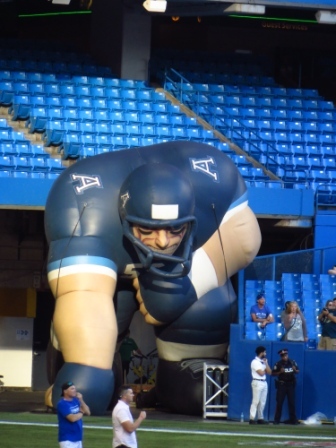 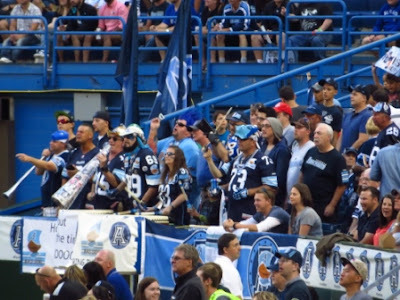 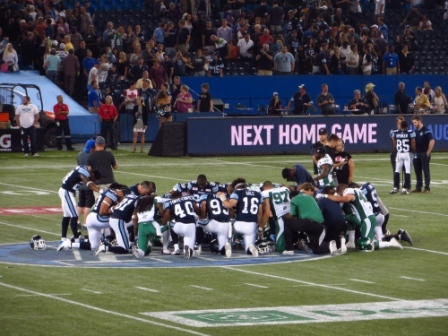 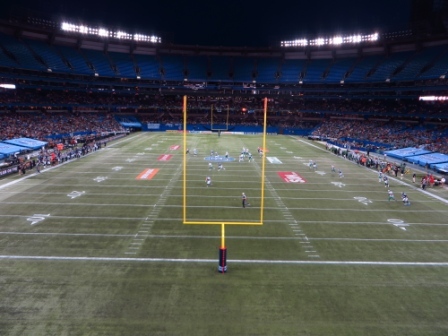 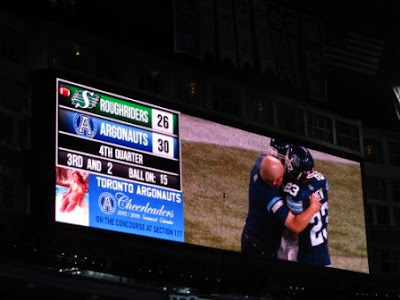 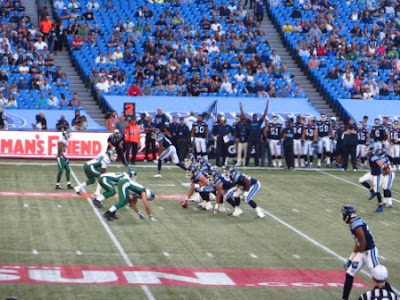 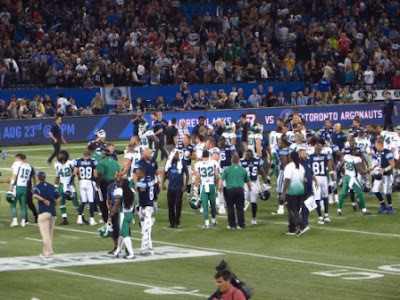 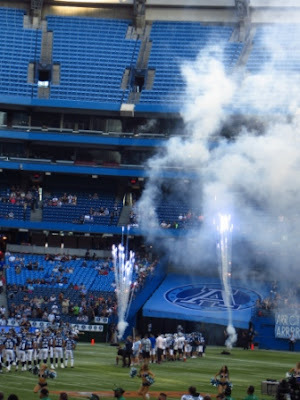 The Argos won ... 30 - 26. 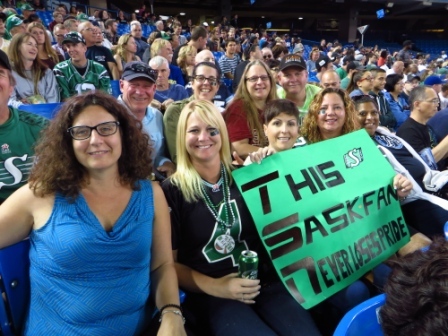 I'm not a football fan but it was fun to hang with Shawna and her friends while she was in town. 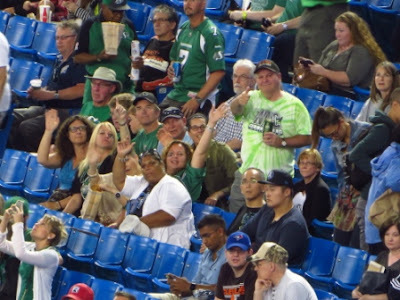 Happy 13th anniversary, Sister Sarah and Joey!